C. Richard Warner is President and Chief Executive Officer of Warner Fertilizer Company, Inc., Kentucky's largest independent fertilizer retailer. 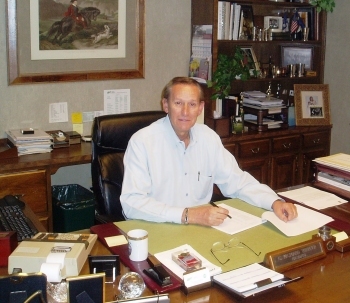 He assumed his current position in 1973 after eight years serving as Vice President and General Manager. Mr. Warner has 45 years experience in the fertilizer industry having served on the Boards and numerous committees of The Fertilizer Institute, Ag Retailers Association, Kentucky Ag Development Board and ABAK (Agri-Business of Kentucky) having served as its President in 1976 and 1977. He also served as Chairman of the Southern Kentucky Ag Development Board and on the board of Friends of Kentucky 4-H, the Somerset-Pulaski County Development Foundation, the Kentucky Lottery Corporation, the Kentucky Chamber of Commerce and the Board of Trustees of Lake Cumberland Regional Hospital. Mr. Warner was raised on a farm and was a graduate of Eastern Kentucky University with an accounting degree. He served on the boards of the Kentucky Economic Development Association and the Kentucky State Board for Adult and Technical Education, serving three years as it's Chairman. He helped develop a retail fertilizer accounting program FRED (Fertilizer Retail Efficiency Data) with ag economists at Purdue University. He also helped develop a retail cost study program with economists at TVA, Muscle Shoals, Alabama and served on an agriculture policy advisory group with U.S. Secretary of Agriculture, Richard Lyng, under President Reagan. He also helped develop the industry's first manual for fertilizer blending plant operators. Mr. Warner also served on the Board of the First & Farmers National Bank, Somerset, Kentucky for many years. He is a member of the First Baptist Church, Somerset, Kentucky and has served on various committees of the church. He has a farm and has two children. 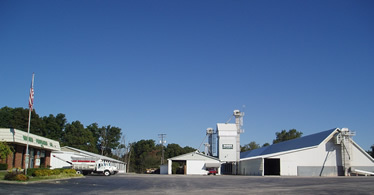 Jeff Hawk is Manager of Warner Fertilizer Company, Inc., at the Somerset, Kentucky location. 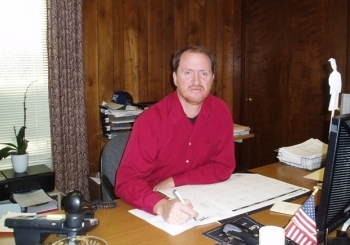 Jeff began his career at Warner' in 1993 as a Sales Coordinator and assumed the Managers position in 2008. Jeff's responsibilities include Sales, Purchasing, Logistics, Human Resources, and Government Regulations along with report filings. Jeff is a graduate of Eastern Kentucky University with a degree in Technical Agriculture. He received his Certified Crop Advisor certification in 1995, being the first CCA in this area. Jeff grew up on a farm with Dairy, Beef, Tobacco, Corn, Soybeans, Forages and Horticultural crops. He continues to operate the family farm today. He serves as board member of the Kentucky Corn Growers Association and is President of the local chapter the Southeast Kentucky Corn Growers Association. Jeff is a member of Oak Hill Baptist Church. He is married and has three children and three grand children. 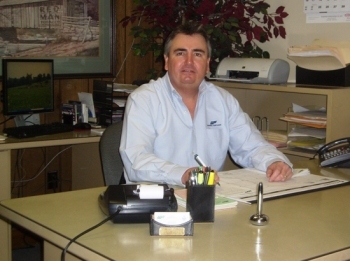 Gary Rowe has been with Warner Fertilizer Co. Inc., in Somerset Kentucky as Credit Manager since February 2006. Along with his job as Credit Manager, Gary also assists in sales, Inventory receiving and control and traffic control of shipments. Gary came to Warner's with two years experience in the banking industry as well as nine years managerial experience in retail. Gary served 12 years in the Navy Reserves from 1986 until 1998 where he worked in Supply along with being Assistant to the Commanding Officer. Gary is married and has two children. He is active in his children's school activities which include coaching basketball and football teams along with coaching a cheerleading squad. Gary and his family attend Campground Baptist Church in Somerset where he holds several positions. Gary is currently singing with a Southern Gospel Quartet which travels throughout Kentucky. Gerald Edens is Plant Manager at Warner Fertilizer Co. Inc., in Somerset, Kentucky. 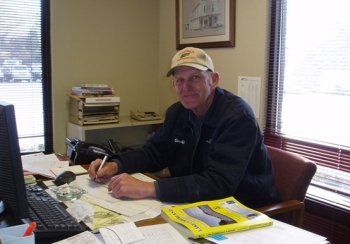 Gerald joined Warner's in 1976 as a Custom Applicator and Mechanic. He assumed the duties of Plant Manager in 1988. 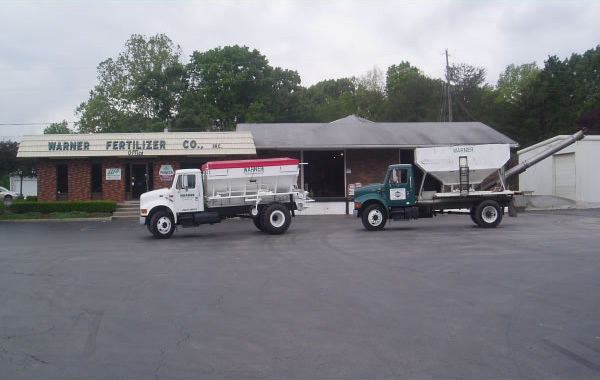 Gerald has many years of experience of blending and applying fertilizer and crop protection products. He grew up on farm and assisted his father, who was a bag fertilize dealer in Science Hill area, with bag fertilizer deliveries. Gerald continued to operate the family farm many years where he grew tobacco, forages and cattle. Gerald has been a commercial applicator for many years and trains the new applicators for Warner's. Gerald's responsibilities include supervision of operations of the blending and bagging facilities, maintenance of truck fleet and equipment. Gerald also is responsible for procurement of trucks, autos and equipment for all Warner's locations. He also supervises maintenance at our 12 locations. Gerald is married and has two sons. 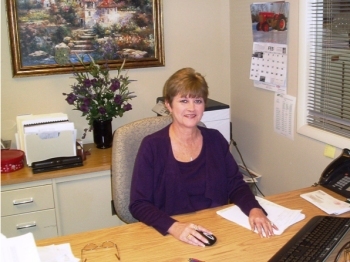 Paulette Large is the Controller and Secretary of Warner Fertilizer Co. Inc. She began with the company in 1987 as a data entry clerk and moved to accounts receivable and payroll the following year. She has served as Controller since 2002 having served the prior five years as assistant to the controller. Ms. Large oversees the financial records, handles human resources and manages the corporate office which handles accounts payables, accounts receivables and payroll for all Warner locations. Ms. Large attended Somerset Vo-Tech College studying Data processing where she was Secretary of Phi Beta Lambda in 1984-1986. She has been an avid member of unit 38 Ladies Auxiliary of the American Legion for the past 13 years where she has served as Treasurer, First Vice President and President. Ms. Large is a member of Beacon Hill Baptist Church in Somerset, Kentucky. She has one son and one daughter.